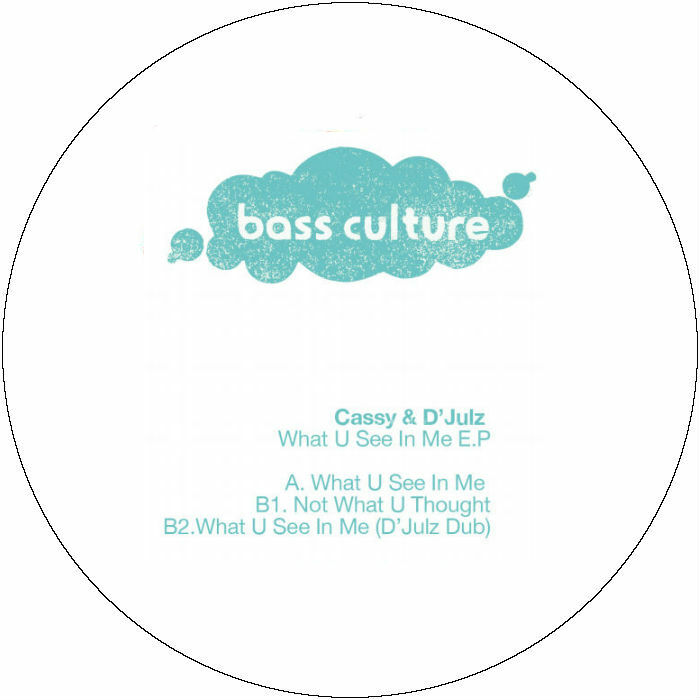 The latest Bass Culture presents an exciting partnership between label boss D Julz and his long time friend Cassy, resulting in three tracks of the kind of refined house music that you would naturally expect from two well-travelled DJs. Her global status as a DJ ensures Cassy is never far from the minds of switched-on house heads, but its a rare treat to enjoy her own productions. When she appears on record she makes it count, and its no different here as her and DJulz tap into what makes them tick as DJs and dancers alike. “What U C In Me” is as seductive and hypnotic a house track as you will ever wish to hear, not least because of the immersive, insistent bassline that throbs away underneath the track. Elegant, icy string tones off-set that bottom-end rumble, leaving the perfect space in the middle for Cassy’s distinctive vocal to call through the mists. It’s the kind of subtle approach to a club track that reveals the control and confidence of producers who don’t need flashy production tricks to create their groove. On the B side, “Not What U Thought” has a lighter tone, letting sunny chords and a stout drum track radiate a positive energy. There’s a bluesy soulfulness to the choice of keys here, while the rising and falling of the beat makes for an addictive head-nodder with all the hallmarks of a great daytime house cut. D’Julz’s own dub of “What U C In Me” deals in crisp, linear drums to inspire a natural kind of physical reaction, letting in some light on the bass pressure of the original through metallic chords that pulse over the top of the track. 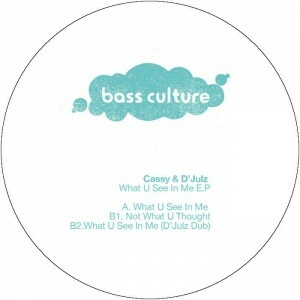 Without the need for distractions or superfluous elements, Cassy and D’Julz have delivered a set of honest, club-ready tracks to inspire meaningful responses from dancefloors who search beyond the obvious and the immediate in their party music. Out on vinyl May, out on digital July 2014. This entry was posted on May 15, 2014 at 14:15 and is filed under Release.